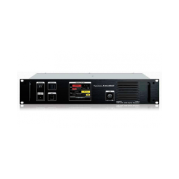 Dimensions (W, H, D) 482x88x380mm; 19 "x 3.5 "x 15 "
AMS (Automatic Mode Select) function automatically recognizes the signal as C4FM digital or conventional FM, and then the DR-1X repeater retransmits the signal using the preset communications mode. Built-in large-size monitor speaker with front panel volume control. Full Integrability with existing repeater controllers using the 15 Pin rear I/O connection. Internal AC Power Supply. High Stability ±2.5ppm TCXO included. DSQ (Digital Squelch Code) Signaling Feature. CTCSS and DCS Signaling Feature. 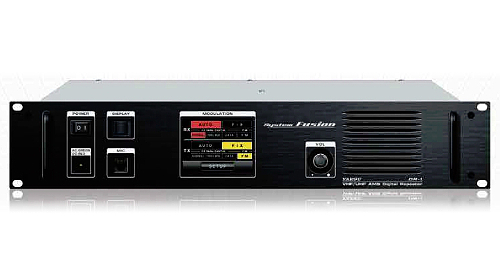 Firmware Upgradeable; Advanced Operations Control I/O port is connectable with S-Com7330 repetera controller, Manage max 3 DR-1XE.